Michelin, world leader in tyres and sustainable mobility, and Faurecia, technology leader in the automotive industry, have signed a Memorandum of Understanding to create a joint venture bringing together all of Michelin’s fuel cell related activities – including its subsidiary Symbio – with those of Faurecia. SYMBIO, A FAURECIA MICHELIN HYDROGEN COMPANY will be owned equally by Faurecia and Michelin. This French joint venture, built around a unique ecosystem, will develop, produce and market hydrogen fuel cell systems for light vehicles, utility vehicles, trucks and other applications. Faurecia and Michelin are convinced of the importance of hydrogen technology in tomorrow’s world of zero emissions mobility and of the need to create a strong French and European hydrogen industrial sector. The two companies aim to create a world leader in hydrogen fuel cell systems through combining existing and complementary assets from both partners in the joint-venture. This will enable them to immediately offer a unique range of hydrogen fuel cell systems for all use cases. Michelin’s contribution to this joint venture will be the activities of Symbio – a Group subsidiary since 1 February 2019 and a supplier of hydrogen fuel cell systems associated with a range of digital services – as well as research & development and production activities. Faurecia will contribute the technological fuel cell expertise it has developed through a strategic partnership with the CEA, its industrial know-how and its strategic relationships with car manufacturers. It will continue its development of high-pressure hydrogen tanks in partnership with Stelia Aerospace Composites, which will also benefit the joint venture. The cooperation between Michelin and ENGIE for the development of a hydrogen ecosystem, in particular in the field of hydrogen mobility, will also benefit the joint venture. 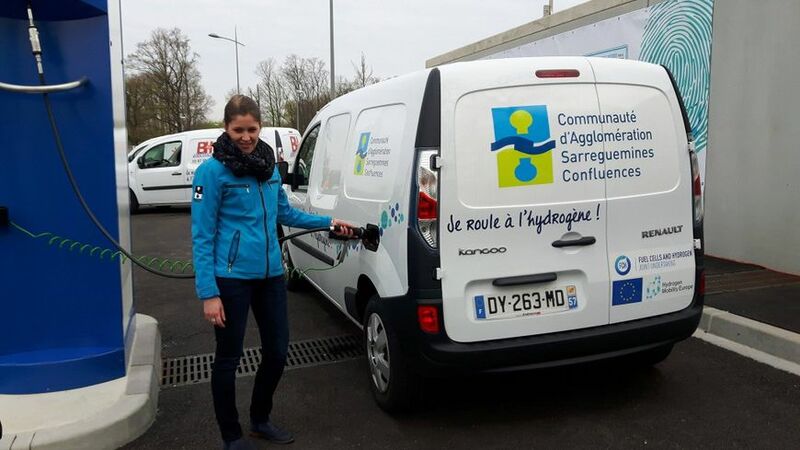 “This innovative partnership will facilitate the emergence and development of hydrogen mobility: it opens the way to a new form of sustainable mobility. I welcome the alliance between Michelin and Faurecia, incorporating our strategic asset Symbio. The ultimate aim is to develop a complete mobility offer for hydrogen vehicles, from fuel cells to maintenance services,” said Florent Menegaux, General Managing Partner and future President of the Michelin Group. “I am very pleased to have signed this strategic agreement with Michelin with a view to creating the world leader in hydrogen mobility. Our shared vision, as well as the complementarity of our technological know-how, will accelerate the market launch of efficient fuel cell systems adapted to different use cases. Our joint ambition is to create a centre of excellence for hydrogen mobility in France through the gradual combination of our activities,” commented Patrick Koller, CEO of Faurecia.